When it comes to choosing an outdoor blind for your home, Designer Pergolas and Carports can help you find – and fit - beautiful outdoor blinds you will just love. We choose to use Stridetrack blinds, known for their high quality and strength as well as the bonus of having no ropes, no pulleys or zips to battle with. These are all manufactured at our own factory in Derrimut. We only use 1mm thick UV stabilized PVC for strength and longevity, not .5mm like other suppliers. 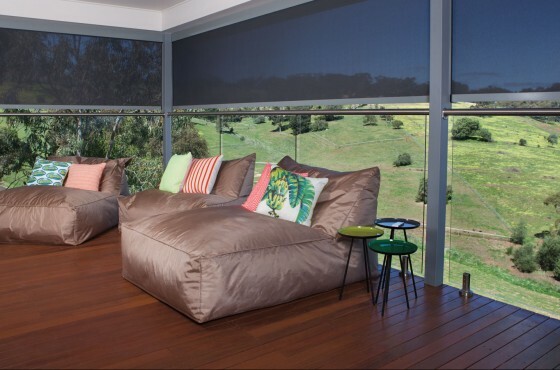 All our blinds are stylish, energy efficient and durable, as well as proudly Australian designed and manufactured. Designed to be unobtrusive and clean, all our outdoor blinds work seamlessly. No pulleys, zippers or awkward movements required: simply a one handed operation with a central locking position. All our blinds come in a range of colours and there is sure to be something that will complement the appearance of your home. So control your environment, privacy and comfort with our fantastic range of blinds! 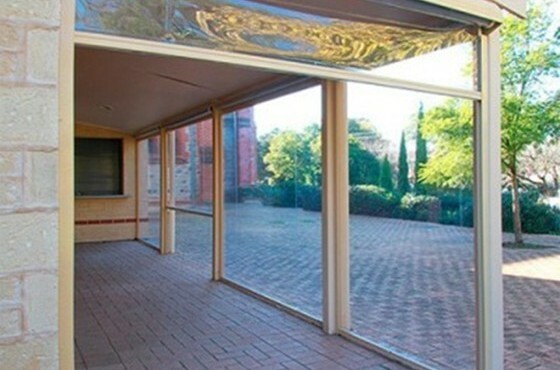 We sell great Werribee decks too! Not to mention Hoobler stone, a highly versatile stone cladding option available for Geelong, Werribee or Hoppers Crossing areas. Find out more about the other locations we service.